It’s been a little while since we’ve run a big giveaway, but boy do we have a great one for you this week! The nice folks at AfterShokz recently contacted us and asked if we’d like to run a giveaway for one of their brand new Gamez bone conduction wireless gaming headsets to one of our lucky readers, and of course, we jumped at the chance! 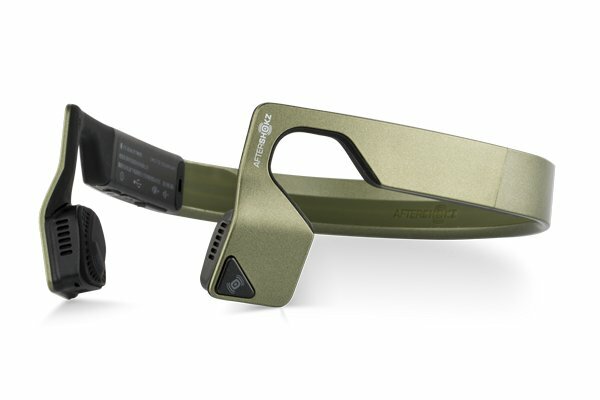 Initially designed and developed for military special operations and law enforcement by Voxtech in 2001, bone conduction technology has been around for quite some time, but AfterShokz brings this patent pending tech to sport, mobile and Bluetooth® headphones “designed and priced for everyday use”. Instead of inserting the headset in or over your ears like traditional earbuds and headphones, AfterShokz’ proprietary PremiumPitch+™ audio technology is specially designed to keep your ears completely open, yet still deliver “premium stereo sound and a promise of safety and comfort that is second to none”. If they don’t go on your ears, then how on Earth do these headphones even work? A set of bone conduction transducers rest comfortably in front of the ears, transmitting sound through the cheekbones to the inner ears via mini vibrations, which bypasses the eardrums completely. 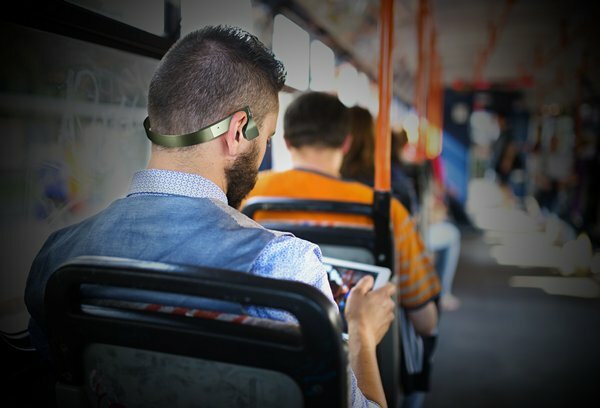 With nothing ever in, on or covering the ears, users can expect maximum ambient sound awareness while playing games, listening to music or making/taking calls, and the lightweight and secure OpenFit™ ensures they wear as if they’re barely there—comfortable for gaming all day, every day. PremiumPitch+™ Stereo Sound: Bone conduction audio has earned its bad reputation due to a blend of natural sound leakage and weak bass. PremiumPitch+™ technology optimizes the sound and includes additional features like LeakSlayer™ technology, which ensures sound is directed exactly where it should be. OpenFit™: A promise of uncompromised situational awareness and extended comfort due to our revolutionary open ear design. That means you can tune in to your games without tuning out the world around you. Sweat Resistant: IP55 rated to repel sweat, moisture and dust. Six Hours of Gaming and Calls: A single charge will reliably deliver six hours of game play and talk time. You can charge fully in 1.5 hours; a quick 15-minute charge provides enough boost to get you through a long gaming session or call. >Noise Canceling Mics: Precisely placed dual noise canceling microphones exclude surrounding noise, effectively enhancing speech when communicating with other gamers during game play. Voice Prompts: Audrey Says™ seamlessly guide you through power, pair, play and talk, and everything in between. With rumors flying that Apple will soon be ditching the wired headphone jack on its next iPhone, there has never been a better time to start considering picking up a nice pair of wireless Bluetooth headphones. I haven’t had an opportunity to experience these innovative AfterShokz headphones yet, but the technology and form factor look really, really slick! Unfortunately we can only give away one headset, however, AfterShokz is currently running a big 20% off weekend sales promotion. If you want to guarantee you’ll get a pair of these innovative headphones at a great low price, then now through Sunday, simply enter the code ‘GAMEZ20’ (case sensitive) during checkout and you’ll save $20 off a pair of Gamez (when purchased directly from AfterShokz). Shipping is FREE! So how can you win your very own pair of AfterShokz Gamez?